It loops through the brick columns same as the old driveway did, but it instantly goes uphill. 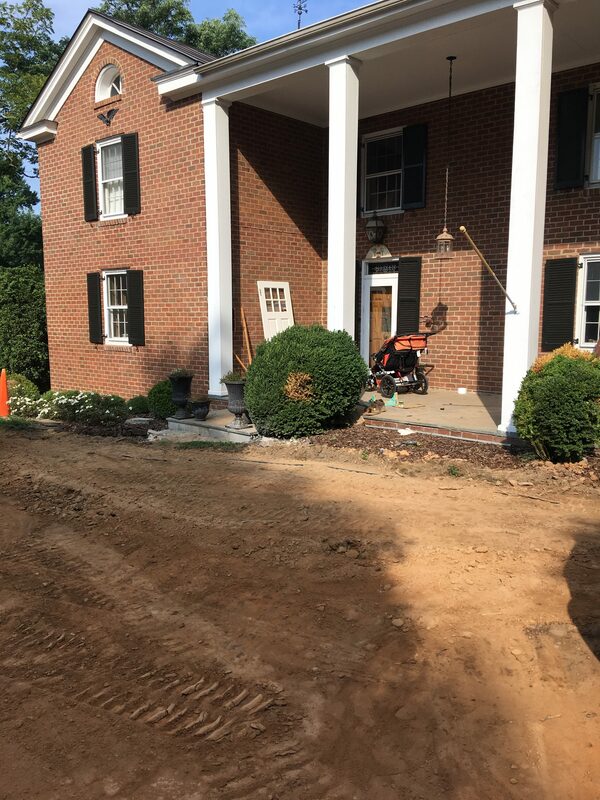 We didn’t remove any of the old asphalt from the old driveway– they just put dirt right on top of it to cover it up. This was part of the scheme for proper grading too. 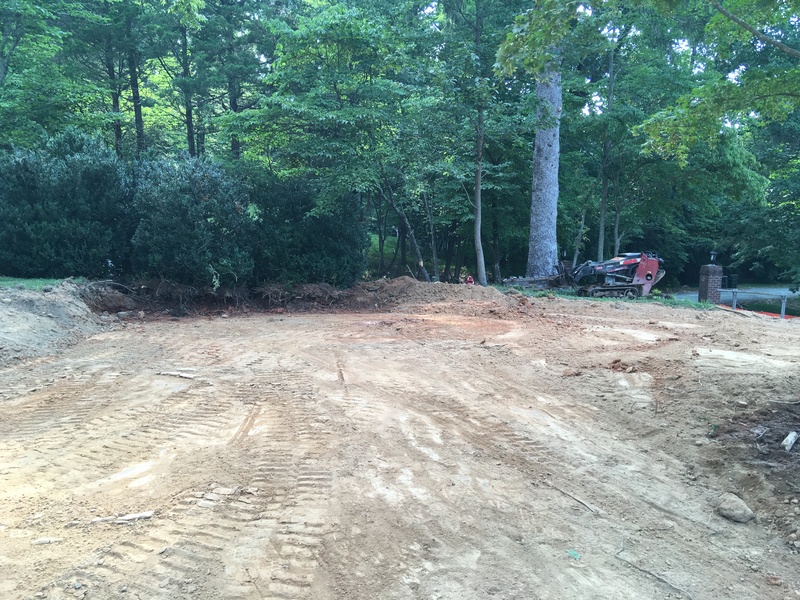 We were happy with this– way cheaper than digging up all that asphalt and hauling it off! 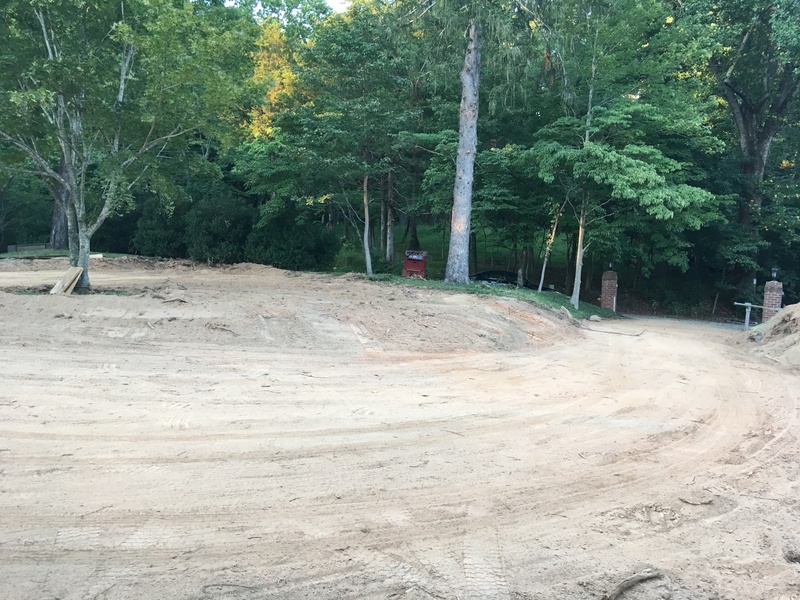 Below you can see where the driveway curves around and will eventually make an exit back to the gravel road. 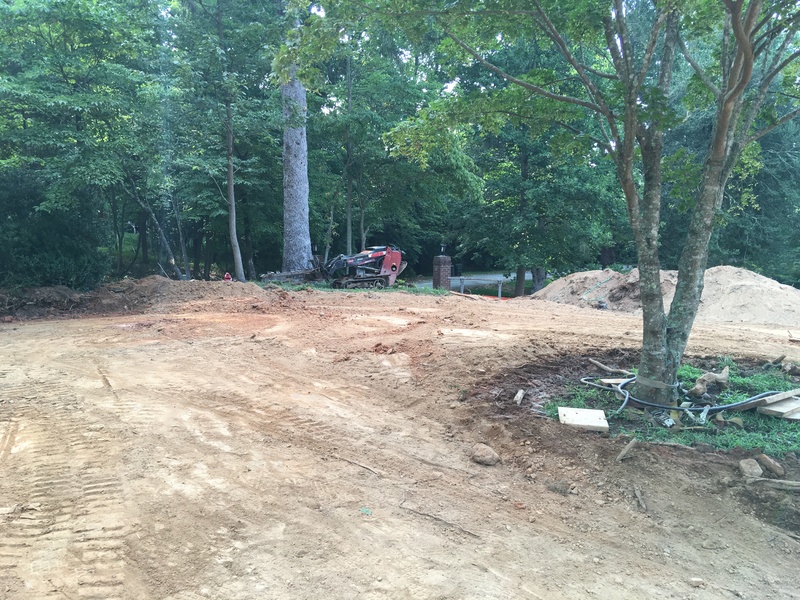 Here’s an even clearer picture of where the driveway will go. What’s that, you say? Boxwoods in the middle? Yes, we will be physically transplanting a few of my most beloved boxwoods to various other places in the front yard. 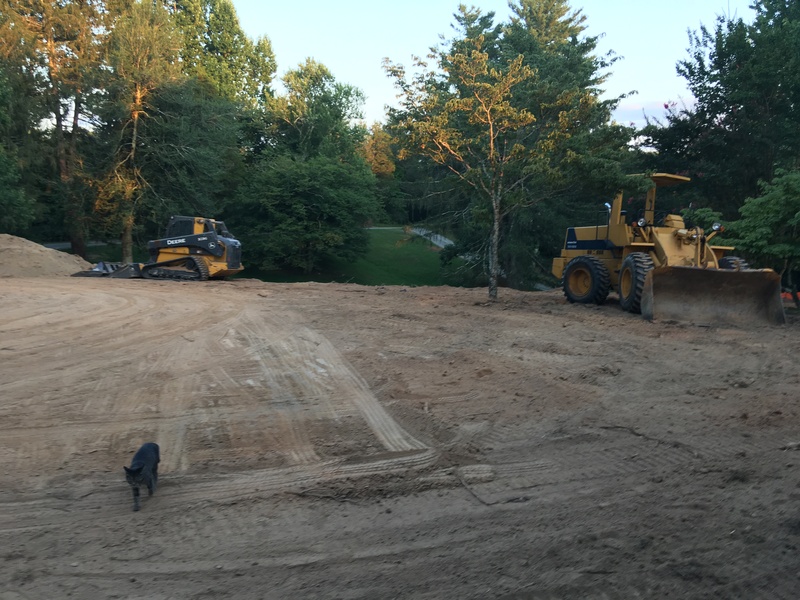 The most important thing is obviously the grading of the slope away from the house and down the hill so rainwater doesn’t continue to affect anything, and that is the top focus at this stage in the game. 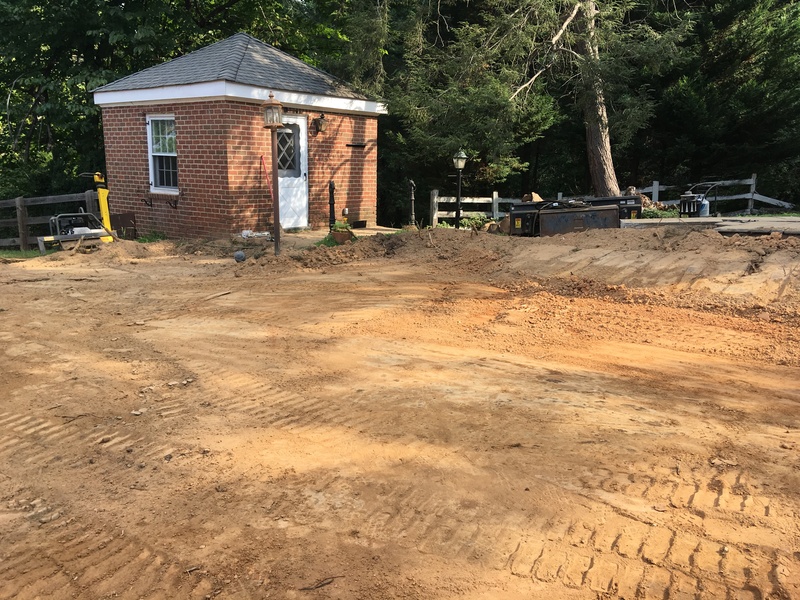 Up next, laying the gravel!!!! Eeeeeek! Previous postThe Driveway It Is A Changin Next postMoving Boxwoods + Gravel Down! Worth every step of it…. 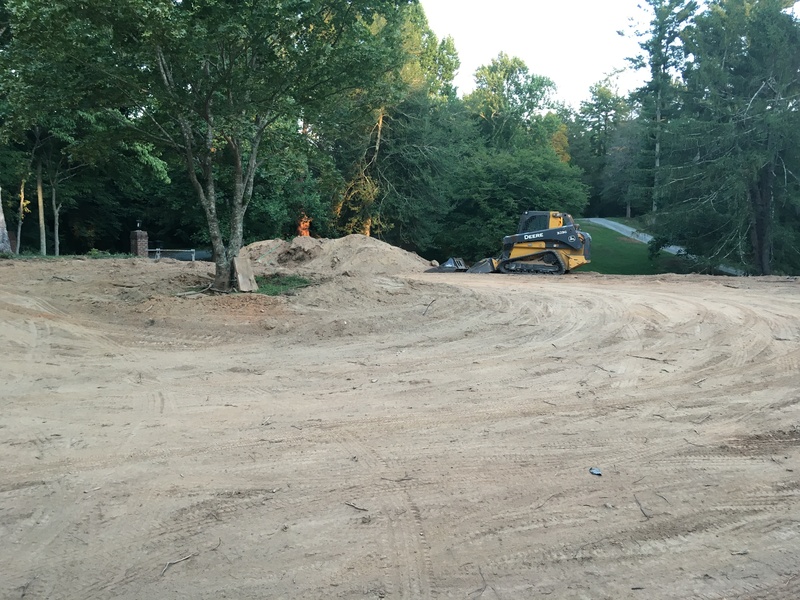 Especially the grading of the land… Great Job….